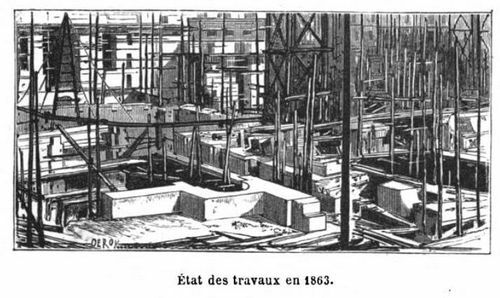 Charles Nuitter, Le Nouvel Opera, (Paris: Libraire Hachette et Cie, 1875), p.28. This woodcut is based upon an 1867 photograph by Louis-Emile Durandelle. A copy of the photograph is held by the Victoria and Albert Museum, London [Museum number: E.2343-1990].